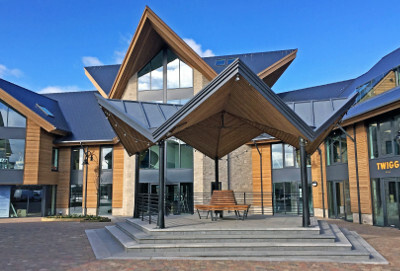 LOCAL family friends are set to launch an Indian ‘tapas’ style restaurant at Mercia Marina’s new landmark £3m Piazza building. The restaurant, named Lotus, will be one of the first of its kind in the East Midlands and is based on a dining concept already popular in London and other large cities across the UK. Sunny Chandhoke, a chartered accountant, and family friend Sanjeev Kumar are behind the plans for the new 120 cover eatery. 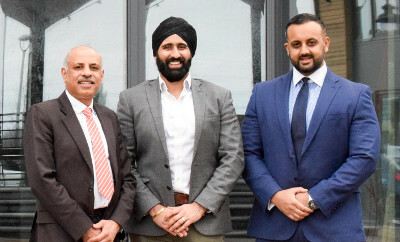 Sanjeev is a director of NK Motors, based in Pride Park whilst Vid Pate is the former owner and founder of Jee Ja Jee's restaurant, once considered to be the premier Indian eatery in Derby, and will be the restaurant’s general manager. In the picture from left to right are Vid Patel, Sunny Chandhoke and Sanjeev Kumar at Mercia Marina. Lotus, set to open in mid-June, will have a varied menu offering small plates of authentic Indian food. The dishes, designed to be shared by everyone round the table, will include grilled meats, vegetarian street-food and home-style curries—all cooked to traditional recipes. “We had always wanted to go into restaurants and when Vid told us about a unit being available at the marina we thought this would be a great opportunity to introduce this concept in our home city. “It’s more about relaxed dining with ‘tapas’-style sharing plates, which is essentially how people in India would eat. There are several restaurants of this nature in London but we are passionate about bringing this dining style to Derby." “We are currently in the process of assembling a strong team in the kitchen, led by a top quality chef. The restaurant's planning, layout and fitting is being carried out by my father Nindy Kumar's specialist building company NK Building Contractors. The restaurant will open from late morning with an all-day menu involving 12-15 grilled and street-food dishes and six to eight curries devised by the head chef. The large bar will serve a wide range of drinks to complement the food, and there will also be a selection of cakes with an Indian twist on offer. Diners will be able to watch the chefs in action at the open kitchen.